The Human Help Network Thailand helped mark HM the King’s 66th birthday by joining the blessings ceremony at the Huay Yai Sub-district office. 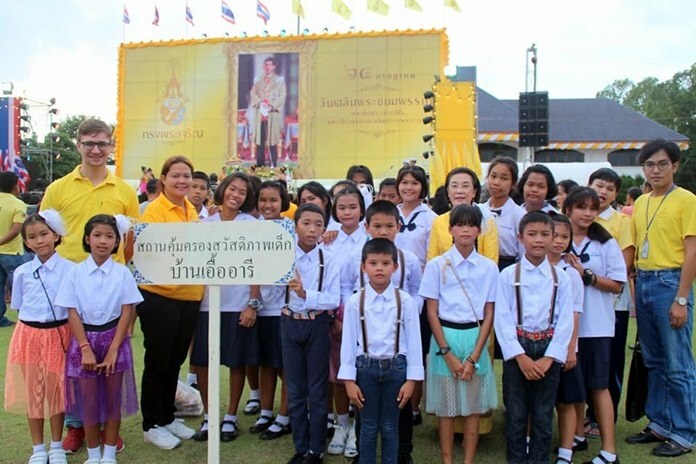 Director Radchada Chomjinda brought children under the foundation’s care and staffers to the municipality office July 28 to pay respects to HM King Maha Vajiralongkorn Bodindradebayavarangkun. The ceremony was one of many observances organized throughout Banglamung District.